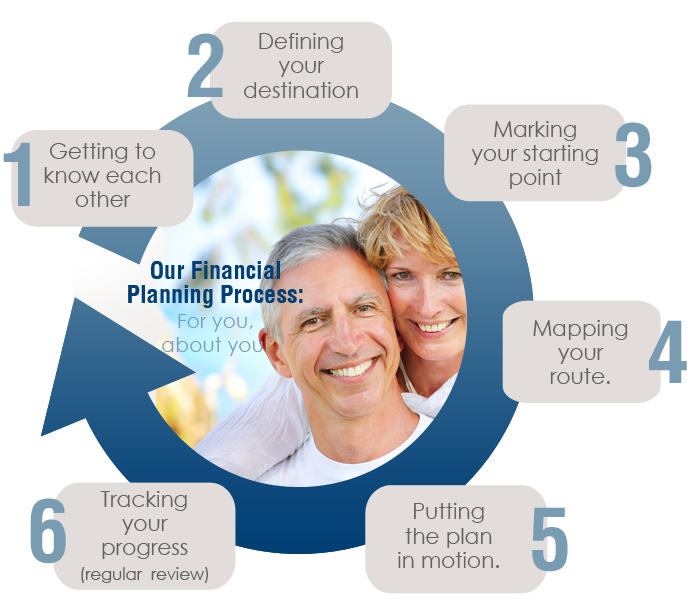 Our Financial Planning Process - Caldwell Wealth & Estate Advisory Ltd.
Caldwell Wealth & Estate Advisory Ltd. | Our Financial Planning Process - Caldwell Wealth & Estate Advisory Ltd.
Our process works for you. Financial planning is an ongoing process that allows your plan to evolve in step with your life. Your unique needs and goals help construct the roadmap, so it’s really a shared experience. Important to keeping a healthy financial plan healthy is having it subjected to regular review and update. Your plan should be modified to reflect major life events (birth of a child, marriage, retirement), or when you successfully reach a significant check-point on your journey. There is nothing more satisfying than seeing a goal become a reality! Our initial meeting is all about determining whether or not we’re a good fit for each other. We work hard to listen and understand your values and priorities. 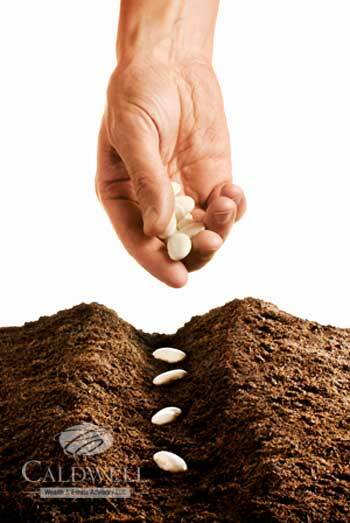 Once we have some groundwork established, we’ll discuss the outcomes that your should expect as a result of undertaking the preparation of a financial plan. We’ll also discuss the role that we each play in making your plan meaningful and realistic. When you succeed, we succeed — and that is very important to us. While we will guide and provide the insight and information that you need to act strategically, you remain the decision-maker. Like a pilot preparing a flight plan, our process grants you the space to clarify and articulate where you want your financial plan to take you. Rather than settling for ambiguous generalities, we’ll encourage you to paint a vivid description of your future. Have you ever been lost, but felt comfort in the belief that wherever you are, you are making great time? Of course, we laugh at this popular joke, but it’s critical when formulating your financial roadmap that we take stock of your progress so far so that we understand our starting point, and the influences that have brought you this far. So, you can expect that we will take the conversation beyond your current savings and investments, financial obligations and liabilities. We want to know what you feel has worked for you in the past (or not! ), your attitudes toward money, and how your family history may be shaping those attitudes. The lens through which you look at money can be a more powerful predictor of financial success than the size of your investment portfolio. And having an understanding of your “prescription” is instrumental to our ability to offer insights toward a plan that will work for you. To this point, we have an understanding of where you are today, where you want to be tomorrow, and some of the “rules of the road” that you want to adhere to along the way to stay true to yourself. Now it’s time to start mapping your route, and this is where we put our experience to work for you. Constructed on a firm base of timeless financial principles, we draw upon contemporary solutions to lay down the road for you to follow. You can expect your portfolio to include a diverse collection of financial instruments, depending on your circumstances. Equally as important, we’ll provide guidance on questions around how to allocate your current and future resources in a way and at a pace that will have you reach your destination on time. This often calls for some adjustments to how you currently manage your finances, and that is one of the most tangible benefits of engaging in the preparation of a personalized financial plan. One of the wonderful benefits of walking through a planning process is the sense of control that the outcome provides. People often describe this as a release of stress, or relief from the fear of the unknown. However, constructing the plan with no commitment to putting it into action does nothing to improve your financial trajectory. Each of the recommendations that come out of the planning process will come with an implementation strategy that, as necessary, can be coordinated with other legal or accounting professionals on your team. We identify and prioritize the steps, and you decide the implementation schedule. The sooner you put the recommendations into action, the sooner you will reach your destination. Delaying action may see you arriving at your desired destination later than planned, if at all. However, the decisions are in your hands. Can you possibly map out your entire life and have it all turn out just as expected? Probably not. That’s why having a planned review cycle in place is crucial to following a plan that delivers. Once the plan is fully prepared and the implementation strategy and schedule are agreed upon, we immediately establish the review timetable. The frequency of these update meetings will depend on the complexity of the plan and the action steps within the implementation schedule. Your review will surface changes to both your internal circumstances (births, illnesses, marriage, large purchases, retirement, etc.) and external conditions (revised tax laws, economic and market conditions, etc.) that may have an impact on your plan. Seldom do financial plans come equipped with a permanent “auto-pilot” feature! What is your financial plan doing for you? Your financial plan should align with your goals and values. Let us help you create a map that will get you where you want to go.